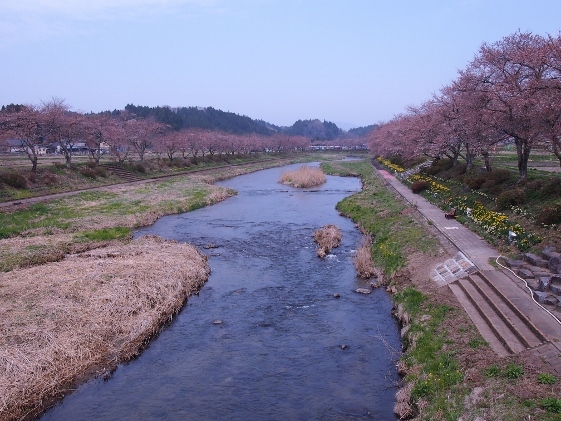 Today, I stopped at Natsui thousand cherry trees again, and then went towards Iwaki-Yumoto Onsen. 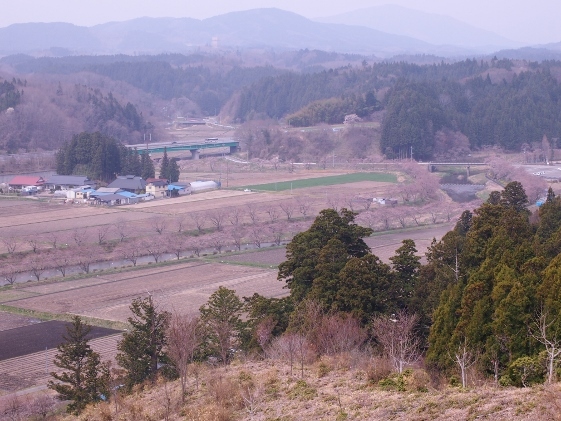 The Natsui thousand cherry trees this morning looked as shown in the picture above thus far behind the best to see. This weekend as well as first half of the next week will be the best period. 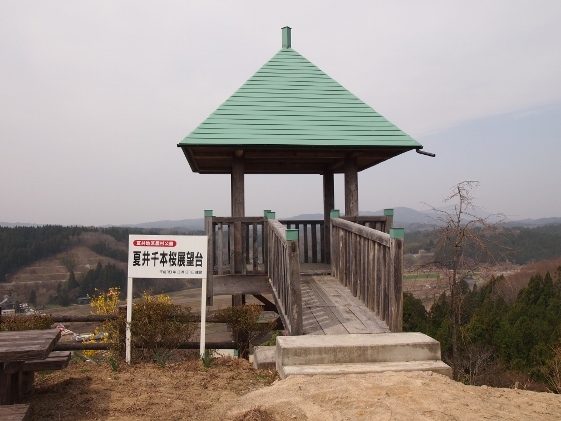 I climbed to the "viewing terminal for the Natsui thousand cherry trees" shown in the picture above which had been built in the year 2007. The view from there today was as shown in the picture, and this will be a spectacle when all the cherry trees became in full bloom. 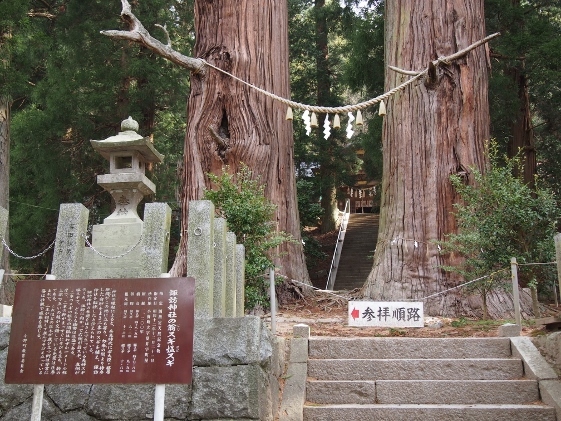 In the same Natsui area there were two giant cedar trees called " Grandpa and Grandma Cedar trees of Suwa Shrine". 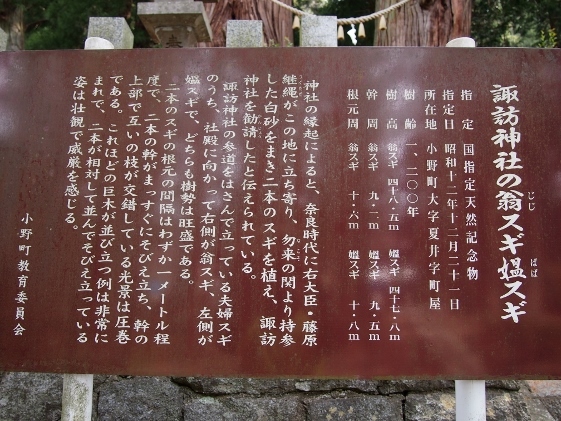 These had been designated as National Natural Monument. 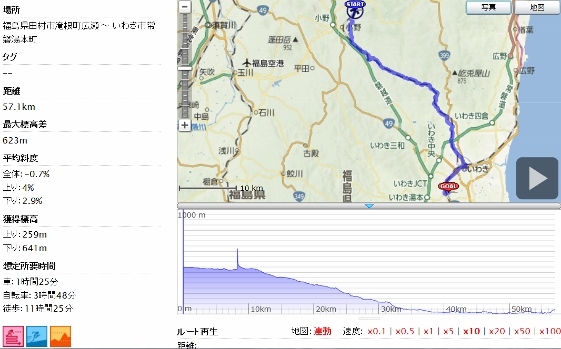 From Natsui to Iwaki City I pedaled on the Pref. 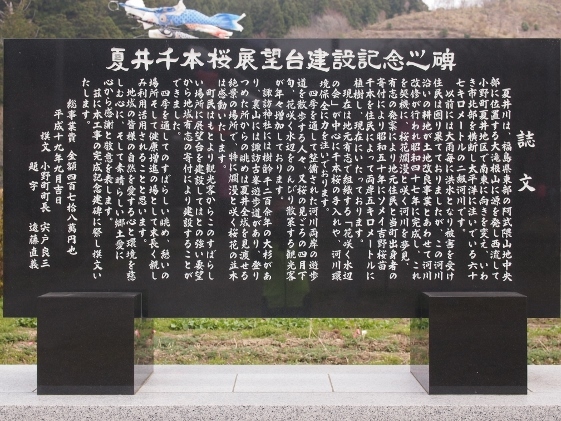 Route 41 which went along the Valley of Natsui River and also along the JR Ban-etsu East Line. This route was a long and moderate downhill with less traffic thus I felt comfortable every time. 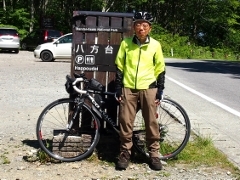 I also met with several road bike cyclists. 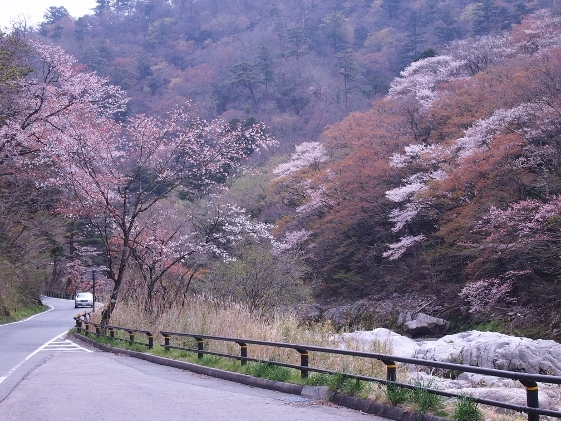 Many wild cherry blossoms could be seen along the Natsui River Valley as shown in the picture. 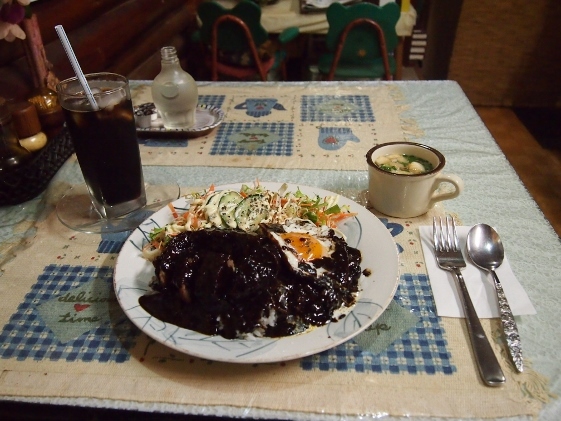 I arrived at Iwaki-Yumoto Onsen area in the early afternoon and I took lunch of black curry at restaurant "Yasuhiro". This black curry was the master's specialty which was very hot and delicious. 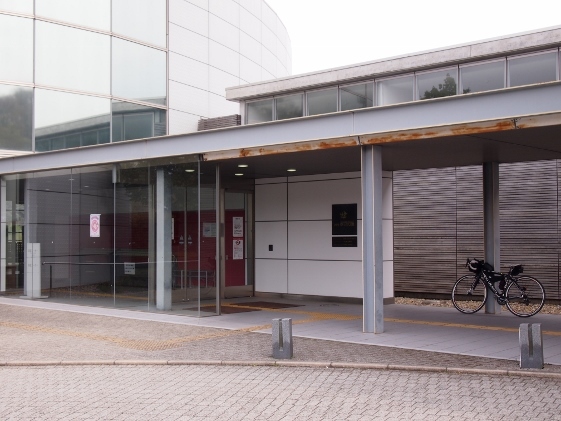 Today I stayed at Iwaki Yuttarikan Inn of Iwaki-Yumoto Onsen. 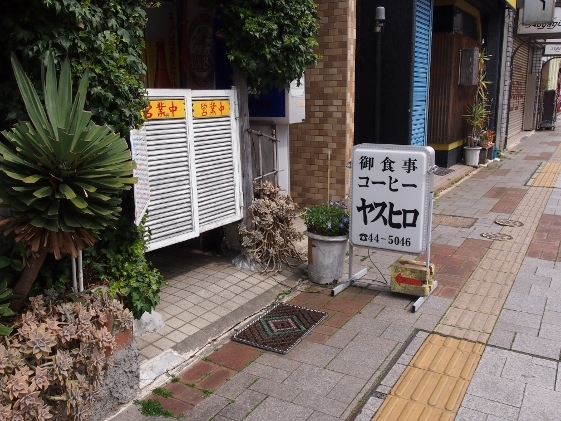 This was a public inn of Iwaki City. I could enjoy a fresh hot spring bath with no cooling water, no heating, and no hot water circulation.